Since the number of wires is what's important, wouldn't CAT/ethernet cable work? It's much easier to get custom lengths for than most peripheral cables, easier to work with for custom diy (imo). Though I'm not sure if it is much more durable since it is also solid-core wire, iirc. I personally have no issue with SATA; if you build your own PCs you have tons laying around and they're cheap as dirt, if not. Edit: it looks like you can get CAT7 wire in stranded core, so that nixes the durability issue. Is it possible to use TRRS? It can be a robust solution. using USB or TRRS would make the VE.A look like basically every other split board ever made. BORING. I see the main reason as being cost of cable and ease of finding it at reasonable cost. 5-pin TRRS-to-TRRS isn't exactly common place and USB-to-USB isn't any cheaper than SATA (it isn't common in B&M stores anymore either). What? This is more of a financial decision, if you ask me. Yes, it does, but the connector can be flipped. Since the connector is just a connector and doesn't use special protocol, I could see that possibly causing problems. I don't pretend to have the answers since I'm not the designer, but reasoning out the decision from what's been listed makes enough sense. SATA is the most economical choice, with the only real concern being durability; from first hand experience, I've only had issues with durability of the connector on old SATA 1 (unshrouded) vertical connectors where dealing with wire management ended up bending/breaking the connector from snagging the cable (yes, you can be clumsy and still build PCs, haha), which is something I've yet to experience with SATA 2/3 (shrouded) connectors. Imo, you're more likely to end up breaking the wire (because solid core doesn't like to be bent a lot) than have the connector fail on you. whats the size of the space bar ?and what keycaps sets should fit it ? I feel like the longevity of the plug is also not as big of an issue as it's being made out to be. For some people who relocate or travel with their keyboards it's probably a warranted concern. But if you aren't regularly plugging/unplugging your keyboard or manhandling the cables, you should be fine. I've taken mine to/from work dozens of times without issue, but YMMV. I am definitely interested in getting a second VE.A as it's been one of my favorite kustoms to own and use. Black logo plate with the pink enamel fill would look good. Or with the red fill! EDIT: fix the latency issue if there is one. It's not clear if there is one or not. Please STOP repeating unsubstantiated rumor about lag with VE.A unless you can provide reproducible steps to the VE.A team. There has been no prove the lag exists other than hearsay. Show us the prove and steps to reproduce the problem so it can be debugged and fixed. Can someone post a video of them typing with a VE.A and their screen. I have one and have never noticed any lag. 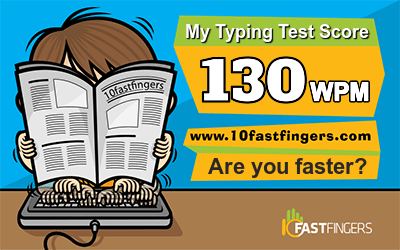 Though I top out at like 70/80 WPM. Could you experiment with the debounce, as others have reported, and see if that produces lag? It's a configurable delay built into most firmware to deal with potential ghost keypresses if the keyboard matrix is scanned to often/rapidly. The theory is that the lag is caused by the debounce delay being set too high and that lowering it will resolve the issue. If you run into issues with keys being registered multiple times keep bumping it up by 1 until it stops. Hi guys. Do we have a price for VE.A and when it will run? I`m so glad to tell you in a long time. After finish GB VE.A1, we got a lot of contacts. But as you know, we can not make 10~20 sets easily. We were worried and decided to make a second keyboard. We are hoping that the VE.A we made will be used by many people. So we wanted to lower the price, which was too expensive. The expected price for this VE.A2 is $320(initially I wanted $290). I did not want to reduce the quality or components as the price went down, and I`m going to do the QC straight. The apprearance of VE.A2 is similar now, but the part inside has changed a lot. For example, polycarbonate to fix the comforters when using VE.A 1. Many conversations are coming and going because of sata cable. Of course we also designed it first with usb-c. When VE.A1 first came out, sata cable was a big issue. But now I`ve been using the VE.A prototype for the fourth year, but I`ve never felt anyting like a sata cable failure ever called a delay issue. It is a design part to keep using sata. I did not want the shape of the aluminum case to be strange because of the round shape of usb-c. Since the sata slots are rectangular, we thought it was advantageous to connect "exectly" to VE.A. I`m really sorry about the loge... I think it was missing details. We thought it would be nice to have something "color" in the aluminum case. I wanted to be assembled in small pieces, and the complicated use of colors was because you wanted to be able to see and see the colors. Of course, if you do not put the color like the VE.A1, you can use it as before. You can choice. I had a problem with shipping too much, so I wanted to fix it in vea2. Four pieces of tinting kits can be tilted to the left and right and can be tilted up and down. I'll take a more detailed picture of this. There are many factors that raise prices (veins, tenting parts, color logos, etc.) than vea1. I wanted to reduce the price from $ 420 to $ 320. Many people wanted to use it. We know that users who use vea1 do not have a lot of special elements to buy vea2. We talk again, but we have a job and do not want to make money on the keyboard. But I do not want to make things out of quality or problems. I hope you like VE.A. We will try to reconsider the delay issue and sata cable replacement again. Thank you for reaching out to the community - I personally appreciate the fact you're willing to work with what people that really do love the VE.A to try and solve or work on the things people seem to have issues with. As stated previously I personally admit to having jumped to conclusions fairly quickly in that the SATA cable is to blame for the lag I (and others) experienced, based off of conversations I saw/took part in previously where I took people's knowledge of the problem for granted without considering they may not be completely correct and that's my bad. That said, if the implementation and/or firmware is the cause and not the physical SATA cable itself, however you choose to resolve this is alright with me. I'd like to see it gone in favour of a different connector for the reasons people have hammered on in previous pages that I don't need to repeat but I trust your judgement. Truth be told, I do also think SATA looks really cool and is unique, as well as it being part of why the board is so legendary. Addressing the logo, to me and in my opinion the main issue is not so much the colour as it is the fact it sticks out far too high compared to the rest of the board and in that it breaks the beautiful streamlined top down view of the original VE.A - if it was sunk into the case (if that is possible, I don't know if it is), or just much shorter in height, I think people would like it more. At least I would. Would it also potentially be possible to offer monochrome and colour version of the badges so that people could choose for themselves, or would that mess with the machining etc and move up costs etc? Lastly, I want to state my appreciation for the price point you are aiming for - with tenting and everything else that is included, for such an iconic board that people really do love and want, I think it's a really telling move that you'd want to go for something as low as $300 when you could easily charge twice as much. That's a big deal to me, and surely for others too. the price point is sweet. i am not in the market for keyboards anymore (My adventure is coming to an end.) but i might stretch my last budget to get this. I'll leave the design and the pcb to you. that It's a bottom part design & a lower price than VEA 1st. but, I couldn't because of the circumstances. don't need any more sound absorbing material. And, nobody mentioned it, so I'm disappointing. I like the design of this one better than VEA1. I'm excited about the tent kit. I'm not a 75% user so I'm probably going to skip this one, but I think people in this thread are vastly underrating it. I definitely welcome the lower price point. about the sound arsorbing, i use my ve.a without any damping at all for full one year. so i don't have any problem about that. I also like this design better than the VE.A1, apart from the logo. I think it looks great. I am in on this board with or without changing. I would like to have concerns alleviated on the lifespan of SATA connection on the board, don't have issue replacing the cable but if the port can be deemed unusable with a reasonable amount of inserts, then this might be more a display board than daily driver. Could we please just get Brass instead of Stainless Steel in the base kit, and have SS as another option? I'm like 154320% sure that most of the people prefer brass over SS, sure there might be someone preferring SS, but the big part of the community is crazy for brass. Even if i was disappointed, the price is interesting so i would probably join if there is Brass. I can close an eye on ps2avr bootmapper over qmk. I can close the other one for Mini+Sata picked over better technologies. But the lack of brass no, i can't stand the sound of Stainless Steel. Also since i'm here, i feel like there is a lot of wasted potential on the feets. If the feets could be somehow adjusted and placed horizontally too and not only vertically, this keyboard could create an angle in every direction (at our choice). For example, once joined the parts, i would like to have a normal keyboard angle, while when the parts are splitted i would like the angle that OP photos shows. I am interested in other people weighing in but I think having a color/swappable logo plates isn't the issue per se but the screw holes are v large take up most of the space for the logo so it all looks very cramped and overly "busy." Also the VE.A logo isn't centered in the plate which I think is part of the issue. Very interested in the new pricing! thanks for making this more affordable for us! I'm super interested. I didn't get a chance to grab a v1 and got a clone. The cloke made me love the format, but the quality is lacking for sure. I'll probably go in for 2 or 3 v2s depending on the timing. Do you have any ideas of when this will run? The Server Open schedule should be discussed. The request reception server will be developed within a few days. because I have to develop a program in home after work. I would love to see USB-C or TRRS instead of sata, but preferably usb-c.
QMK Would be a dream too, but that's not a make it or break it for me. SS over brass. Though I'm pretty sure with the direction the VE.A 2nd is taking that I'll be interested no matter wut. Will the GB be run through massdrop again, or a new website like typemachina? Also, how many colors for the nameplate will be offered? I saw a couple different ones in the old thread. Would this be alps compatible or include an alps plate/pcb? I am gonna be all-in this time! SATA is a very flimsy connector. What case colours will be offered this time around? Dream board, new logo or not! Page created in 0.187 seconds with 73 queries.